BURR RIDGE, Ill. (WLS) -- A West suburban man died 85 years ago during a daring rescue. Now his act of bravery is being remembered with a pond in his honor. 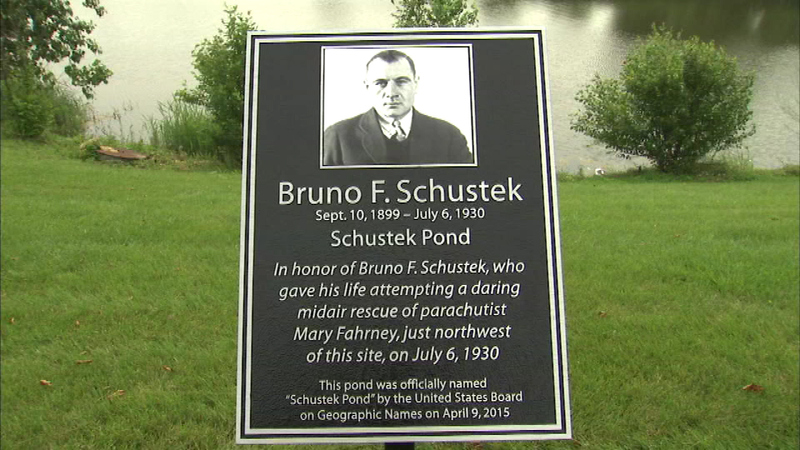 This pond on Veterans Boulevard in Burr Ridge is dedicated to Bruno Schustek. The former World War I flying ace was killed in 1930 as he saved a woman whose parachute got caught on a plane's wing over McCook. Schustek fell to his death after he helped her break free.